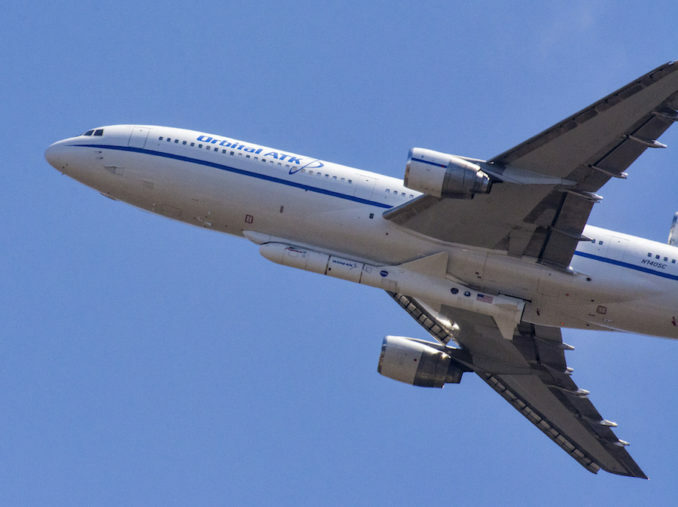 NASA and Northrop Grumman are expected to base the launch of an air-dropped Pegasus rocket with a NASA science satellite from Cape Canaveral later this year, after originally trying to get the mission into space from a remote island in the middle of the Pacific Ocean. The space agency has not announced the move, but three officials involved in the mission said the launch of NASA’s Ionospheric Connection Explorer — ICON — a small satellite instrumented to study the link between weather on Earth and conditions at the edge of space, is expected to shift from Kwajalein Atoll in the Pacific Ocean to Cape Canaveral. 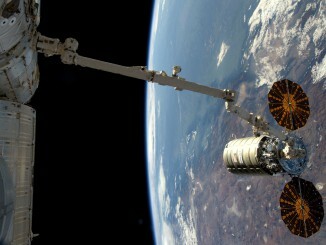 The air-launched rocket was supposed to send the ICON satellite into orbit June 14. The Pegasus XL rocket was to take off from a U.S. military airfield on Kwajalein Atoll, located in the Marshall Islands in the Pacific Ocean around 2,400 miles (3,900 kilometers) southwest of Honolulu, under an L-1011 carrier jet, then drop from the belly of the aircraft and fire into orbit. But teams from Northrop Grumman Innovation Systems, formerly known as Orbital ATK, noticed unusual telemetry from the rocket during a ferry flight from Vandenberg Air Force Base, California, to Kwajalein on June 6. Launch crews examined the unexpected telemetry data during a planned one-night stopover in Honolulu, Hawaii, before deciding to return the Pegasus XL rocket, with the ICON spacecraft in its nose cone, back to Vandenberg under the L-1011 carrier aircraft, said Tim Dunn, a launch director from NASA’s Launch Services Program at the Kennedy Space Center in Florida, which oversees the mission for the space agency. The Pegasus XL rocket is fitted with a wing and rear-mounted steering fins to provide lift and stability during the rocket’s first stage burn. After returning to California on June 8, crews disconnected the Pegasus XL launcher from the belly of the L-1011 aircraft and transferred the rocket to Building 1555 at Vandenberg, where Northrop Grumman assembles its Pegasus and Minotaur families of satellite boosters. Dunn said the Northrop Grumman team expects to resolve the rudder fin actuator issue within a matter of weeks. But finding a slot in the U.S. Army Reagan Test Site, which controls the launch range at Kwajalein — often called “Kwaj” — is a more difficult matter. The range is typically busy with military operations, such as missile defense tests, and has limited windows for accommodating a civilian launch. An opportunity to launch ICON from the U.S. Air Force’s Eastern Range, based at Cape Canaveral Air Force Station in Florida, is expected before a new window is available at Kwajalein, officials said. Assuming Northrop Grumman engineers clear the fin actuator issue identified last month, the Pegasus XL rocket will be re-assembled, mounted again on its L-1011 carrier aircraft, and flown in September on a cross-country trip from Vandenberg Air Force Base to the Skid Strip, a runway at Cape Canaveral Air Force Station. 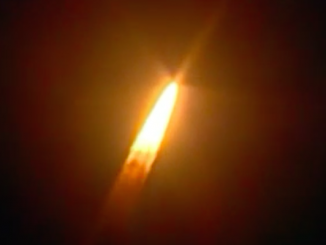 Members of the ICON team have been informed the launch is currently targeted for late September over the Atlantic Ocean off Florida’s East Coast, two officials familiar with the mission told Spaceflight Now. The $252 million ICON project is NASA’s first mission dedicated to studying the influence of Earth’s weather on the ionosphere, an ever-changing layer in the upper atmosphere that affects long-distance communications and navigation. Four of the Pegasus rocket’s 43 satellite delivery missions have been staged from Kwajalein, and six Pegasus flights have been based from runways at Cape Canaveral Air Force Station or NASA’s Kennedy Space Center in Florida. In a recent interview with Spaceflight Now, Dunn said NASA and Northrop Grumman would evaluate their options before deciding on a new launch window and launch site. 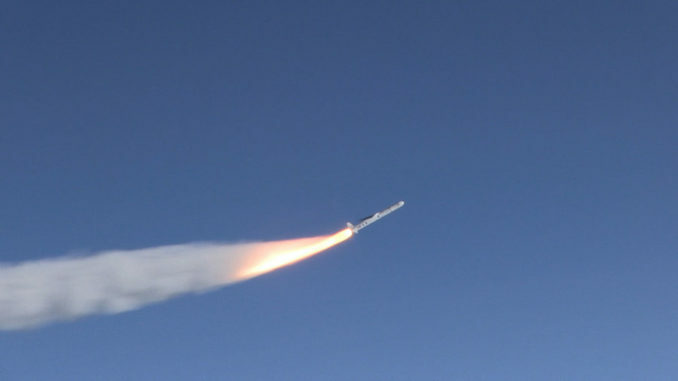 The solid-fueled, three-stage Pegasus XL rocket will place the roughly 600-pound (272-kilogram) ICON satellite, also built by Northrop Grumman Innovation Systems, into a 357-mile-high (575-kilometer) orbit inclined 27 degrees to the equator. ICON requires a dedicated launch because few other satellites go into such an orbit, restricting rideshare launch opportunities. It turns out ICON ended up weighing a little less than originally planned, meaning its Pegasus launcher no longer needs the extra velocity boost provided by Earth’s rotation at Kwajalein, which sits closer to the equator than Cape Canaveral. “As the spacecraft was developed over the last four years, that expected mass of the spacecraft kept coming down, marginally coming down,” Dunn said. “We’re only talking about tens of kilograms, so a difference of 20 or 30 kilograms (44-66 pounds) was where the balance was, where the scale got tipped. When they came in with their final mass, they were actually at a mass where we could stage out of the Skid Strip here (in Florida) and fly off the coast and go into the approprate initial orbit. ICON’s launch was previously delayed a year by a pair of concerns with its Pegasus launcher. Engineers wanted more time to inspect the Pegasus rocket motors after they were mishandled during shipment to Vandenberg, officials said. That pushed the launch back from June to December 2017, the next availability in the military-run range at Kwajalein. Then managers decided to ground the mission to assess the reliability of bolt-cutters used to jettison the Pegasus rocket’s payload fairing and separate the satellite in orbit. Workers installed smaller bolts in the fairing and satellite separation mechanisms, a measure officials said will ensure the cutters do their jobs. NASA and Northrop Grumman officials considered shifting ICON’s launch from Kwajalein to Cape Canaveral during the previous delays, but they decided to continue with the mission from Kwajalein. 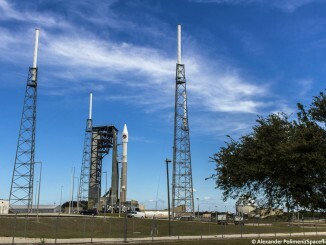 The Pegasus and ICON teams will have to ship ground support equipment deployed to Kwajalein Atoll back to the United States, and transfer some of the hardware to Cape Canaveral ahead of launch later this year.